I was given the link by Trish who is a lovely friend of mine from a dog forum that we are both on. I don't know a lot about hedgehogs and haven't really seen one for years which I suppose is a good sign because they should really only be seen after dark and I don't go out much then. I did rescue a hedgehog a few years ago when my GSD who I sadly no longer have, let me know that there was something at the top of the garden and when I looked there was a hedgehog at the bottom of a disused dog loo that my dad had put in the ground years before and the lads next door had broken the lid with their football. I never even thought of the danger of anything falling in it and unable to get out. I hurried back in for a cloth to lift the hedgehog out because there was also water in the loo and the poor thing was trying to keep its head above the water. I gently lifted him out and then ran back in for some food for it but when I got back it was legging it through next doors fence so I presumed it was okay and it really moved fast. Anyway that's enough of me rambling on cos I'm usually quite a quiet little soul as Trish will tell you. Hi Jan, it's great to have you here!! Yep, hedgehogs really move when they want to! We're a lovely bunch here, not knowing much about hedgehogs is no excuse to stay away - there is plenty to read, lovely photo's to look at and I'm sure you will find something to say in the general section because as you say you are a quiet little soul. It's true though I am. See the noisy other Jan is on here too. Got some great emoticons on here. Welcome to the forum !!! Trish is right , it's a forum with very nice caring people and blow me down we have just got another in you !!! Hello Jan. Thank you for joining the forum. Yep, this is the place to be if you want to learn more about Hedgehogs! I'm so glad there is such a range of people on here, some who know loads, and some who are learning. Hedgehogs are fast runners, they can sure run when they want to. As Beth said, it does not matter if you do not know much, because I'm sure you will learn. 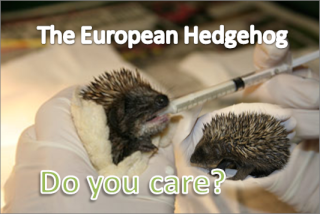 Education of Hedgehogs is very important, so it is great to have you here. Hi Jan, and welcome to the forum. Glad to have you posting one here. The smileys are good are they not!? Is a nice forum, is this one. A nice place to talk and learn. Thanks for the lovely welcomes everyone. It was a pleasure to talk!